The elevation of scent to an art form has a long history in Japan, going back to the classical Japanese art of kodo, the incense ceremony. Scent is more than a passing phenomenon, it has a strong connection to feeling, and different smells may turn our mood bright or sour. 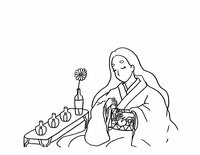 At this talk, Megumi Futatsu, aroma space designer at At Aroma, explores the traditional scents of Japan and their uses, how aromatherapy and interior design can work together, and how to select the right scent for you. Followed by a scent-sampling reception. japansociety . Atualizado em Dez 07 2018 9:34 a.m.